Choosing a subtle Beauty and the Beast theme opened the door for lots of fun additions. Centerpieces were a glass rose. We also used brass candlesticks and a gold and navy color scheme. Electria Stings played Disney love songs before the ceremony. We incorporated our sorority, Disney, and lots of good dancing songs into the reception. Our choreographed first dance was a surprise for our guests. It was a mash-up of sappy love songs and Uptown Funk! 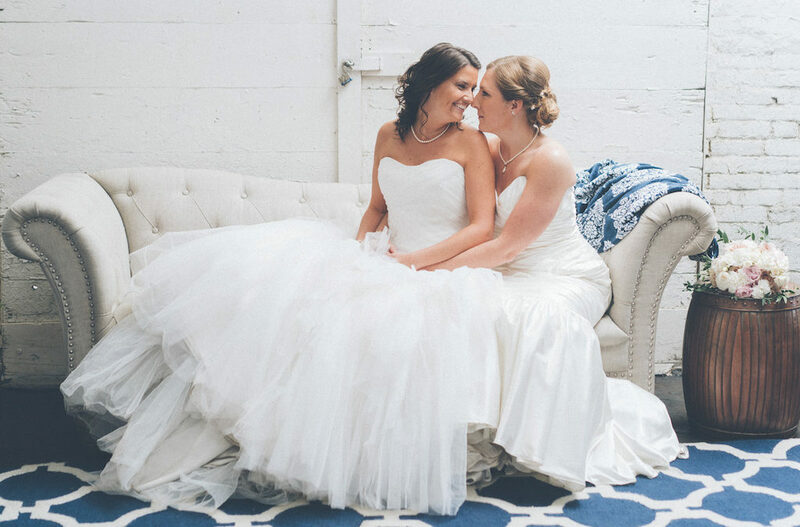 To see more of Nicki and Katelyn’s big day, pick up a copy of Volume 2!